Dr Patrick Kanyangara is the Regional Coordinator of the ACCORD’s Great Lakes Programme aiming at consolidating peace. He has been closely working with Regional Organisations (such as the ICGLR and the AU) and Civil Society Organisations (SCOs) focusing on conflict prevention, conflict mitigation and Peacebuilding in DR Congo, Burundi, Rwanda and Uganda. He previously worked for International organisations such as HIAS, IRCT and UN as senior project manager and programme coordinator. 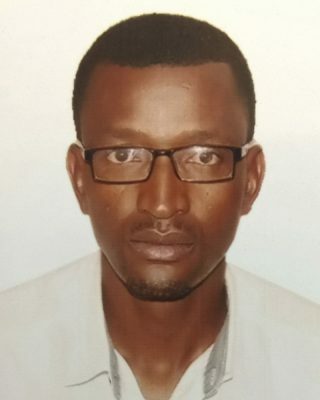 He also worked as lecturer and researcher at the University of Rwanda (UR). He holds a Ph.D. in Education and Social psychology with a specialty in Psychology of Peace and Mass violence from the Catholic University of Louvain in Belgium. Patrick’s research has been focusing on the impact of truth, forgiveness, reconciliation, and restorative justice on peaceful coexistence in aftermath of genocide and mass violence. Some of his work has been published in Journal of Social Issues (USA), European Journal of Social Psychology and Journal of Social and Political Psychology (Australia). He also is co-author of chapters in various Books such as Restoring Civil Society: The Psychology of Intervention and Engagement Following Crisis (edited by Kai j. Jonas & Thamas A. Morton) and Emotional Climates, Human Security, and Cultures of Peace (edited by Joseph de Rivera & Dario Paez).